After more than 25 years, the Pacific International Trapshooting Association (PITA) sanctioned Idaho State Trapshoot will return to Pocatello. Randy Adams, the 15-year president of the Pocatello Trap Club and Idaho PITA president, expects hundreds of shooters from all over the Northwest to attend the three-day event from June 3 to 5. It will be the fourth time since 1931 the local trap club will host the event. PITA officials added Pocatello back into the four-way rotation that includes Twin Falls, Boise and Caldwell. 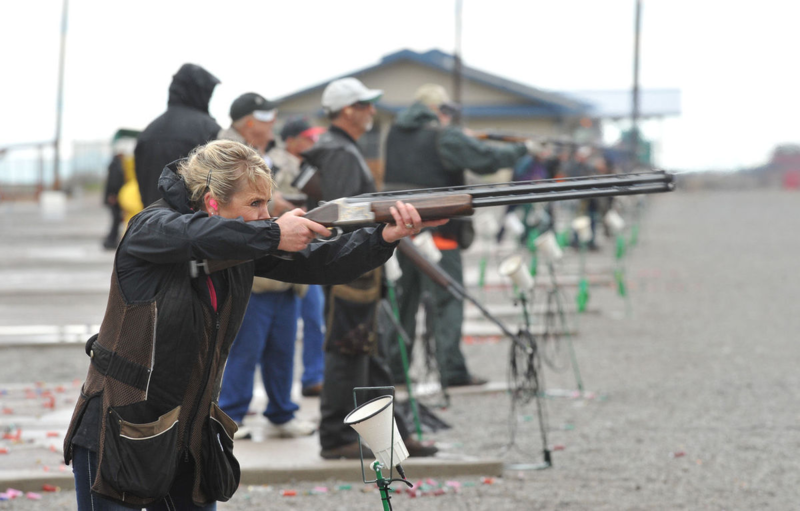 The club formerly hosted more Amateur Trapshooting Association (ATA) events but now will host shoots from both organizations. Willis Norton, who has been the Pocatello Trap Club director on and off since 2000, is confident the best place to host the event is in the Gate City area. In addition to releasing more than 800 registered PITA targets, there will be $6,500 in trophies, $8,000 in cash prizes and $3,000 in purse bonuses up for grabs. The shoot features three different categories — singles, doubles and handicap — with additional classes for various shoots that include: AA, A, B, C, D, lady, veteran, sub-veteran, junior, sub-junior, rookie and elder. A free pizza party will be held Friday, June 3, compliments of the Idaho PITA. On Saturday, a steak dinner with Dutch oven potatoes and salad will be provided at $10 a plate. On Sunday, a memoriam for John Booth, who served on the Boise Gun Club and Idaho PITA Board of Directors, will be held. Officials will also induct Mike Rinard, the owner of Post 4, a shooting safety glasses company, into the Idaho Trapshooting Hall of Fame. “Mike’s been a wonderful asset to trapshooting,” Norton said. Target and trophy fees are $32 per event with a $3 PITA fee per shooter each day and $2 state fee per event. Non-compulsory purse and bonus fees will vary per shoot. The Pocatello Trap Club is located 8 miles west of Pocatello off Interstate 86. Take exit 56, turn toward the airport and follow the signs for the club.